As much as they'd love to, not all MMO publishers can be a Blizzard or even Sony Online Entertainment, holding massive annual fan gatherings. That's where the Looking for Group Expo comes in. 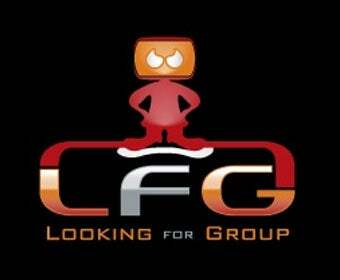 The Looking for Group Expo is planned as a fan gathering for everyone who plays massively multiplayer online games, from the most obscure Korean import to the World of Warcraft player who couldn't get into BlizzCon. The show's goal is to "provide the ultimate experience for all MMOG and virtual world fans to check out what's new in the world of MMOs as well as meet friends across all games and participate in exciting MMO related events." Events like LAN parties, concerts, private screenings, guild meetings, and game demonstrations. The first annual show is being held on June 25th through the 27th in Minneapolis, Minnesota, which could possibly be the most neutral ground on the planet. The event is being organized by Last Straw Productions, itself an MMO Studio and organizers of the annual Independent MMO Game Developers Conference. Events and exhibitor listings are still pending, though the show does have a website you can keep track of, as well as a rather primitive-looking CG advertisement video, which you can check out below. It's a great idea, but we won't know how the Looking for Group Expo pans out until the first one goes down. We'll see what happens come June!